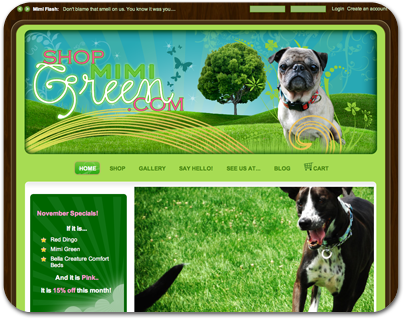 About: Shop Mimi Green specializes in stylish dog products. your great taste + your dog = Mimi Green. Job Responsibilities: Client wanted a website to show the current work and sell products online.